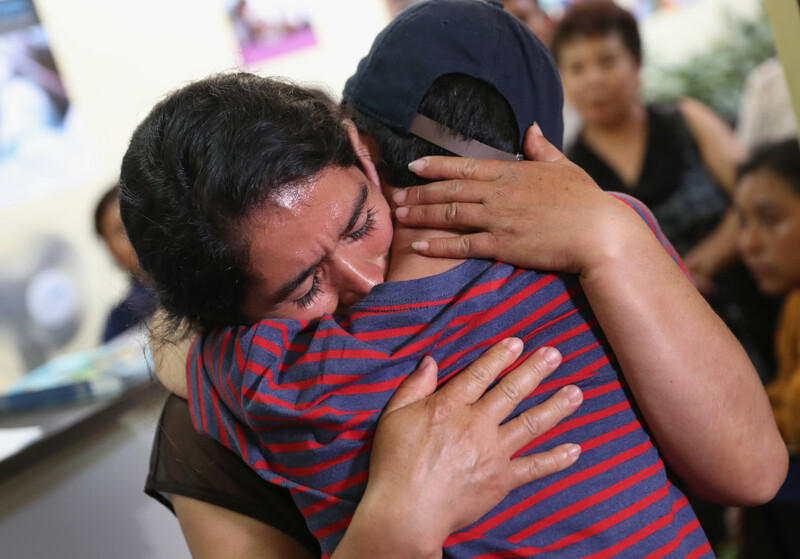 Isidra Larena Calderon hugs her son Jonathan Leonardo on August 7th, 2018 in Guatemala City, Guatemala, as the two are reunited months after U.S. border agents separated them. A Guatemalan mother falls to her knees as her seven-year-old daughter walks through the door. They&apos;ve been separated for 55 days, and the mother is completely overcome with emotion. She embraces her child, rocking her and rubbing her back, openly weeping and speaking to her daughter in Spanish. When she pulls back, the child&apos;s face appears somewhat frozen, but she clearly has tears in her eyes; her mother wipes her face with the tissue she has been clutching. This video from CNN is just one of many that have gone viral in the past couple of months, showing immigrant children and their parents&apos; first reunification after months of separation as a result of the Trump administration&apos;s "zero tolerance" policy. Something that is strikingly uniform in each of the videos is the frozen, non-emotional responses of the children as their parents weep over them. One video shows a devastated mother whose toddler continues to crawl away from her as she tries to talk to him and pick him up. Even to a layperson&apos;s untrained eye, these reactions appear to be confirmation of the significant trauma mental-health experts warned would happen as a result of separating children from their adult caregivers. Karen Johnson, senior director of trauma-informed services at the National Council for Behavioral Health, says that what we&apos;re likely seeing in these children&apos;s responses is a protective numbing or disassociating. Weeks- to months-long separations have an impact on a child&apos;s brain, Johnson says, "which speaks to the urgency to make sure that children do not spend one hour longer than they need to separated from their parents." In the short term, the effects of this kind of prolonged stress response include numbing or detaching, difficulty with conversations and focusing, and having tantrums. It can also manifest in symptoms like stomach aches and headaches. 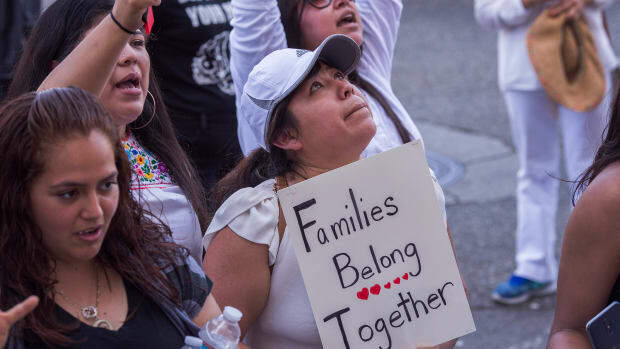 Immigrant Families Together, a group formed by United States parents who were heartbroken by the cruelty of forced family separations, has seen this kind of trauma firsthand. IFT fundraises to bond out immigrant parents, transport them (often thousands of miles) to where their children are being held, and reunite them with their children. In addition, the group coordinates pro bono legal help and ongoing housing and financial support while parents wait for their immigration cases to be heard. IFT has, to date, helped 27 mothers and two fathers reunite with their children. Julie Schwietert Collazo, one of the founders of IFT, says that the group&apos;s volunteers have seen troubling medical issues in children who have been recently released: "Many children have had strep throat, a fever, and/or [gastrointestinal] distress. Other cases are more severe, such as a one-year-old who had penile discharge." From a psychological standpoint, Schwietert Collazo says she&apos;s witnessed some of the immediate aftermath. In the case of one family that IFT helped to reunite, a five-year-old boy and his 15-year-old brother were put into a foster home, where they reported receiving loving care. 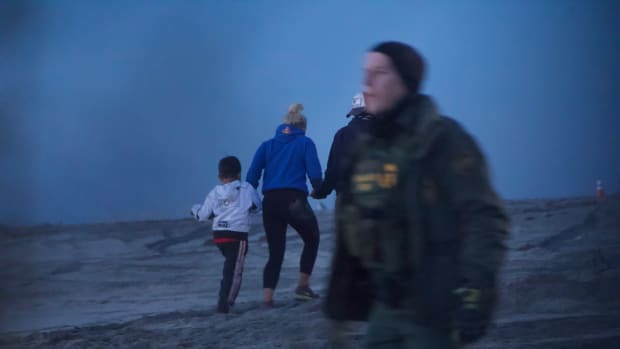 When they were reunified with their mother, they were separated abruptly from the foster family and, according to Schwietert Collazo, they were not given time to say goodbye, nor offered support to help them navigate the transition back to their mother&apos;s custody. "The day after reunification, the five-year-old sat at my breakfast table sullenly, refusing to eat, and when his mom asked him what was wrong, he burst into tears, crying uncontrollably for a long period of time," Schwietert Collazo says. "To her enormous credit, the mom (who, of course, is also traumatized) hugged him and told him to cry as hard and as long as he needed to cry because he had been through an experience no child should have to go through." In the days that followed, the child had difficulty playing with other kids and had visible mood swings. In addition to the short-term effects of childhood trauma, the known long-term health implications are stark. Kids who have experienced chronic stress are at increased risk of heart disease and diabetes, mental-health problems and addiction, and even chronic obstructive pulmonary disease and cancer. A recent study, published in July by researchers at the University of Wisconsin–Madison, found that extremely high early life stress exposure in children was associated with changes in saliva DNA methylation levels, which adds to the existing body of research linking children&apos;s social experiences with risk for anxiety and depressive disorders. Left unmitigated, the damage caused by toxic stress can be lifelong. Recovering from chronic stress requires ongoing effort, making sure a child has structure in their daily schedule, adequate sleep and exercise, good nutrition, healthy relationships, and mental-health interventions. 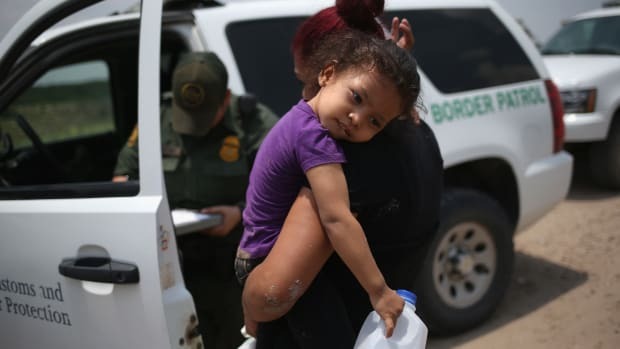 But because of limited resources offered to families caught up in the immigration system and limited resources in their home countries if they are deported, the separated immigrant children in the majority of cases lack access to many of these things, even upon reunification. 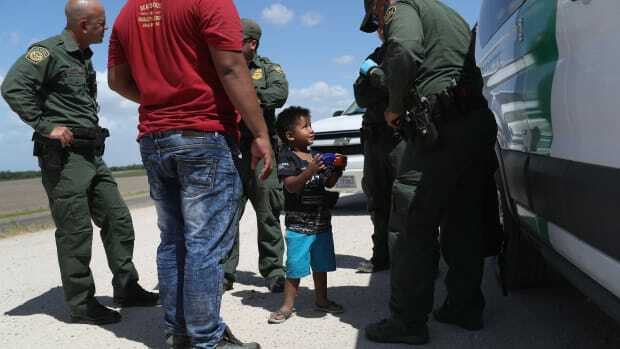 Though the court order deadline mandating the reunification of separated families passed weeks ago, as of late August there were still more than 500 children separated from their parents, and more than 400 of those parents had already been deported without their children. 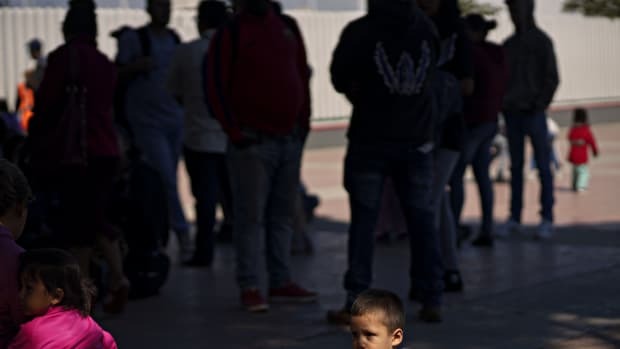 Immigration advocates and lawyers have reported that, of the families who have been reunited, many gave up their asylum claims in order to more speedily get their children back. The government then propelled those families on a fast-track to deportation. And for most of them, there will be no access to the mental-health care that they need, only a trauma-laced return to violence and instability in their home countries. The families who remain in the U.S., reunited with their children, face many everyday hurdles, including interfacing with systems and institutions that may or may not be equipped to support families who have been recently traumatized. As the school year begins, Schwietert Collazo says that children from multiple families helped by IFT have had a rough time transitioning to school. "The return to school would be difficult for them under any circumstances due to language and cultural barriers (and the fact that they&apos;re attending school for the first time in the U.S.), but the separation from parents to conduct school grade level evaluations and the separation from parents to simply go to school have been very hard for the kids; they are afraid they are going to be taken away from their parents again," Schwietert Collazo says. In addition, it is unclear whether schools are equipped to understand and support immigrant students who have endured trauma from family separations. From a physical and emotional standpoint, it&apos;s important that those who work with potentially traumatized populations—like school administrators, teachers, and physicians—understand past trauma. The Centers for Disease Control and Prevention-Kaiser Permanente Adverse Childhood Experiences (ACE) study, one of the largest investigations linking childhood abuse and neglect to long-term health, found a strong relationship between exposure to childhood trauma and some of the leading causes of death in adults, such as chronic obstructive pulmonary disease and heart disease. A big part of Johnson&apos;s work involves training practitioners, organizations, and institutions on a practice known as trauma-informed care. Drawing on the information in the ACE study, trauma-informed care was developed as a way to not only understand how a person&apos;s past trauma influences their health, but also to help service providers avoid re-traumatizing the people seeking support from them. Though the trauma-informed model of care is still spreading and not yet accessible to everyone who needs it, Johnson sees promise in the outcry against family separations, which had a uniformity that she says would not have existed even just a few years ago. "There&apos;s no confusion about the impact that this is having on children and families," Johnson says. Three to five years ago, "there would have been more of the old school push-back like, &apos;kids are resilient, they&apos;ll forget, they&apos;ll move on, look, they aren&apos;t even crying, they&apos;re fine.&apos;"
That outcry resulted in the interruption of the family separation policy. But the end of family separations only solved part of the problem. Every family that has been traumatized through separation still needs access to mental-health care and trauma-informed care within every institution that they interact with moving forward. "We still have to figure out how to make this happen," Johnson says. Kathi Valeii is a Michigan-based writer, covering gender, education, politics, and social justice. There are immediate health impacts of a prolonged border detention—and those effects can last a lifetime.